Anyone can shop & save with JBF! Click here to reserve your FREE admission pass & for earlier shopping opportunities. You'll save up to 50-90% off retail. Everything you need for your growing family under one roof. We gladly accept cash, debit cards, Visa, Mastercard and Discover. 1pm-7pm Prime Time Shopping ($15 Fee at the door or save $5 and purchase early) Free Admission passes not accepted. Click here to purchase tickets. 3pm-7pm Registered FTP, Grandparents, Teachers & Military Shop ($2). Please purchase ticket in advance here. Interested in Promoting Your Business? If your target market is new moms, families with children 0-5 years, grandparents and teens..then JBF is where you want to be. JBF has a nice long line of people waiting to see your ad! We expect over 3,000 shoppers to attend our events. If you have a small business that you would like to promote, contact us today...Vendor spots and goody bag inserts are available. Click here for our Vendor opportunities. "It's a great avevue to recycle gently used family items. As a shopper, you get great deals! As a consigner, the consigner fee and percentage is a bit high, considering you have to price, print and tag, bag and tape, hang and pin all clothes, load and unload all your items at your own expense. The sales are very popular with the public, and lots of items sell. Only the kick back to the consigner is a little over half the amount of the price per item." "Inexpensive clothing. Nice to sell my family's things. Wonderful, fun staff and patrons." 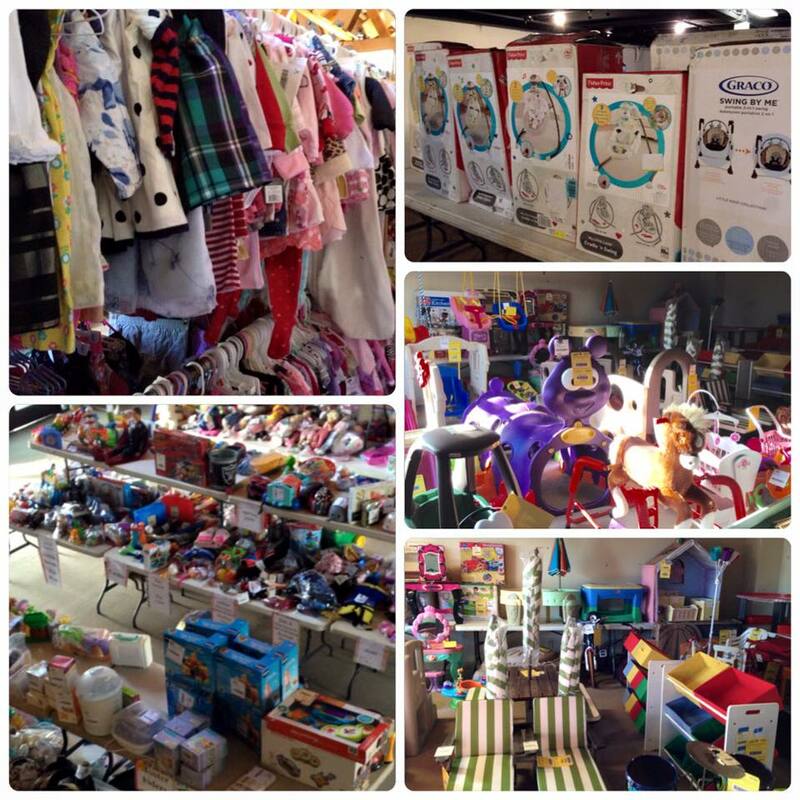 "Great opportunity to find stuff for my kids and save. Also, a good way to make some money for stuff I would normally donate once my child has outgrown them."